Total spending on uncompensated care for the uninsured reached nearly $85 billion in 2013, researchers estimate, raising concerns that hospitals will struggle as the federal government contributes less to offset those costs. About 41%, or $21.5 billion, of the $52.6 billion paid for uncompensated care in 2013 came in the form of Medicaid and Medicare disproportionate-share hospital payments, according to a study published Monday in the journal Health Affairs. 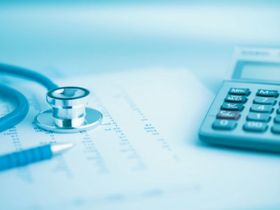 Medical spending for uncompensated care totaled $2,876 a person in 2013, according to the study. The bulk of uncompensated care came from hospitals, which provided $44.6 billion. “The cuts could make it really tense for hospitals that are in these areas that serve a high number of uninsured,” said study co-author, Teresa Coughlin, a senior fellow at the Washington-based Urban Institute. Millions of Americans are expected to gain coverage under the Patient Protection and Affordable Care Act, and the law cuts Medicare and Medicaid DSH funding to correspond with the lower need. But the Congressional Budget Office still projects that more than 31 million Americans will remain uninsured by 2024. Also, the cuts pose a particular challenge in the 24 states that have declined to raise Medicaid eligibility under the law. Late last year, Congress delayed the Medicaid DSH cuts as part of legislation averting cuts to Medicare physician pay under the sustainable growth-rate formula. The new timeline calls for the $35 billion reduction to be phased in from fiscal 2017 through fiscal 2024. The researchers created the projection based on data from the Medical Expenditure Panel Survey for more than 86,000 patients under the age of 65 from 2008 to 2010, as well as secondary data sources published by providers and the federal government.